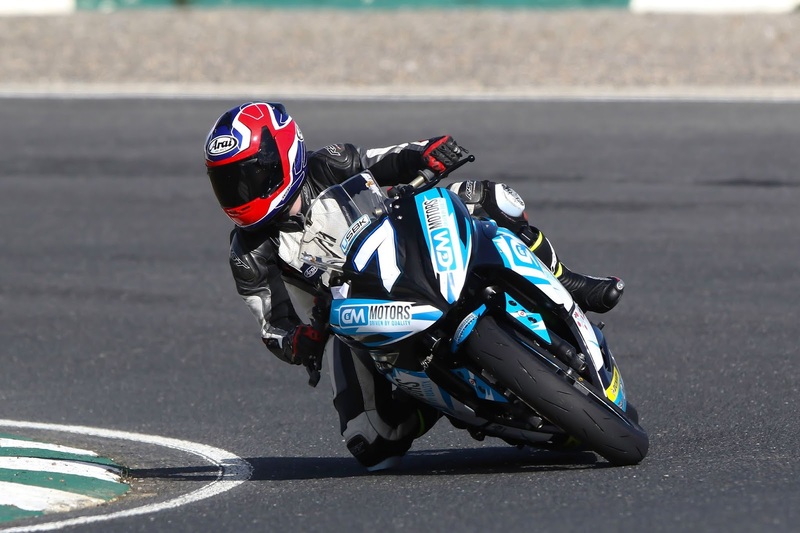 Having dominated the opening three events of the Junior Cup class at the 2018 Dunlop Masters Superbike Championship, thirteen year old Jamie Lyons is the latest nominee for the Masters 'Young Racer of the Year' award. Lyons was chosen by the judges at the May Masters event following three hard fought race wins which brought his season tally to eight wins from eight races. The Masters Young Racer of the Year award is open to any rider who is under twenty three and competing at the Masters. At each event one rider is nominated to go forward to the end of year shoot-out where they will have a chance to battle for the €10,000 prize which is provided by Martin Birrane, owner of Mondello Park, Dawn International and Peter McMahon of EICL. Lyons is in his second year of circuit racing having moved over from a very successful career in Motocross to race in the Young Guns championship in 2017. Swapping to Junior Cup for this season the Omagh teenager was immediately on the pace and has not been beaten at the Masters so far this year. His performances across all three Masters events along with a particularly impressive display in May, under a lot of pressure from his rivals, was enough for Lyons to win the third nomination of the season and he now joins Aaron Wright and Caolán Irwin in the final. By winning the Young Racer nomination Jamie will not only take part in the prize shoot-out but will also receive a free entry, testing and garage space for the next Masters event on June 16th & 17th.